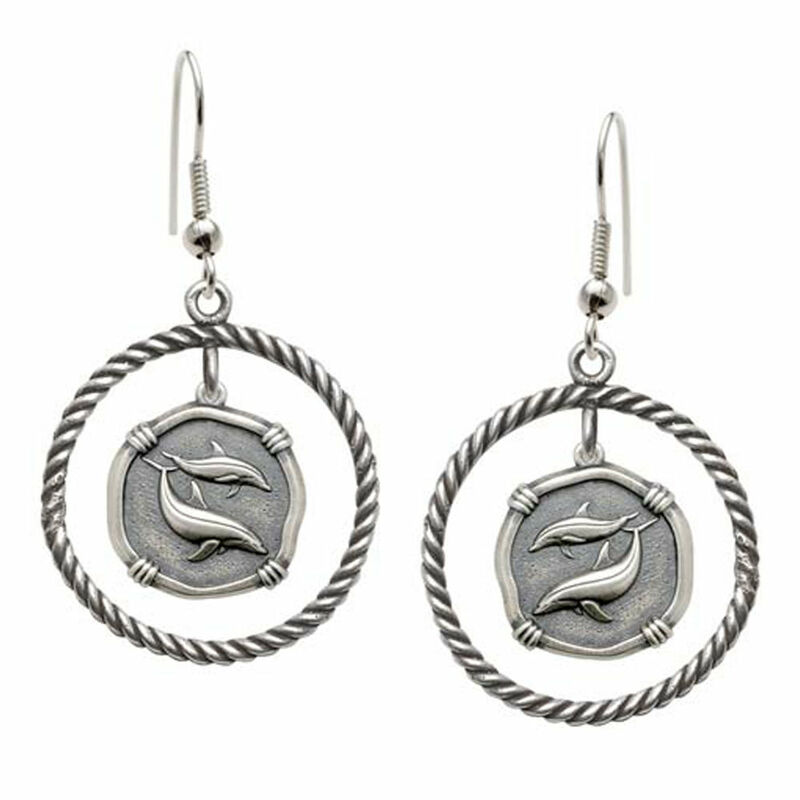 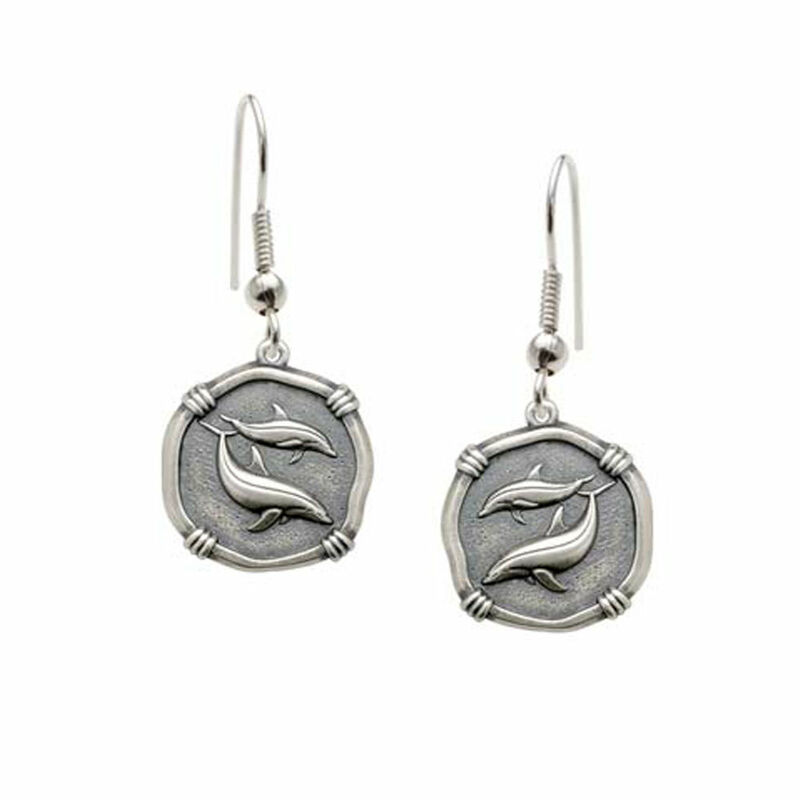 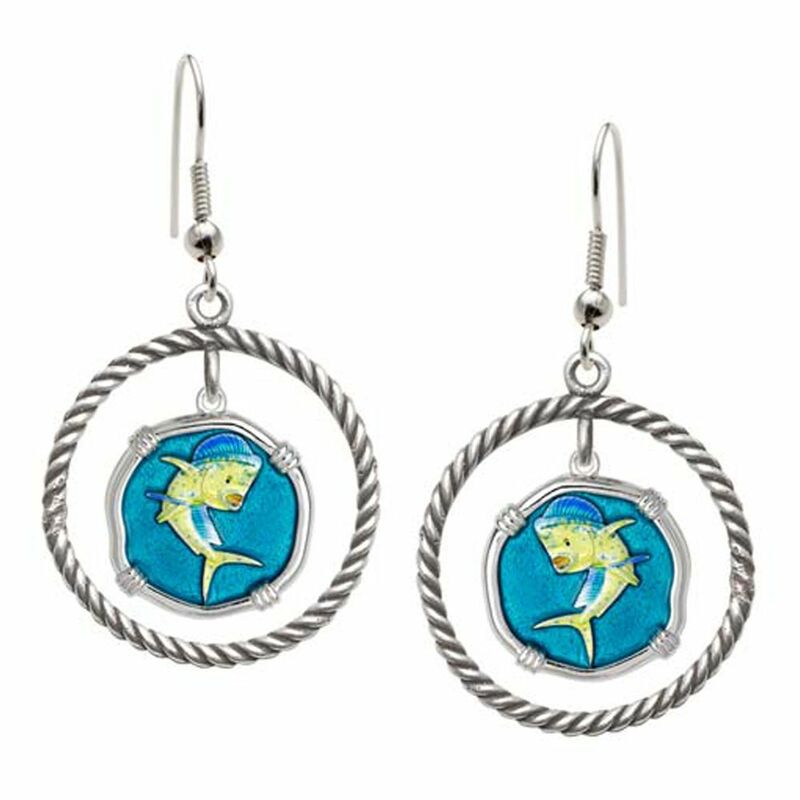 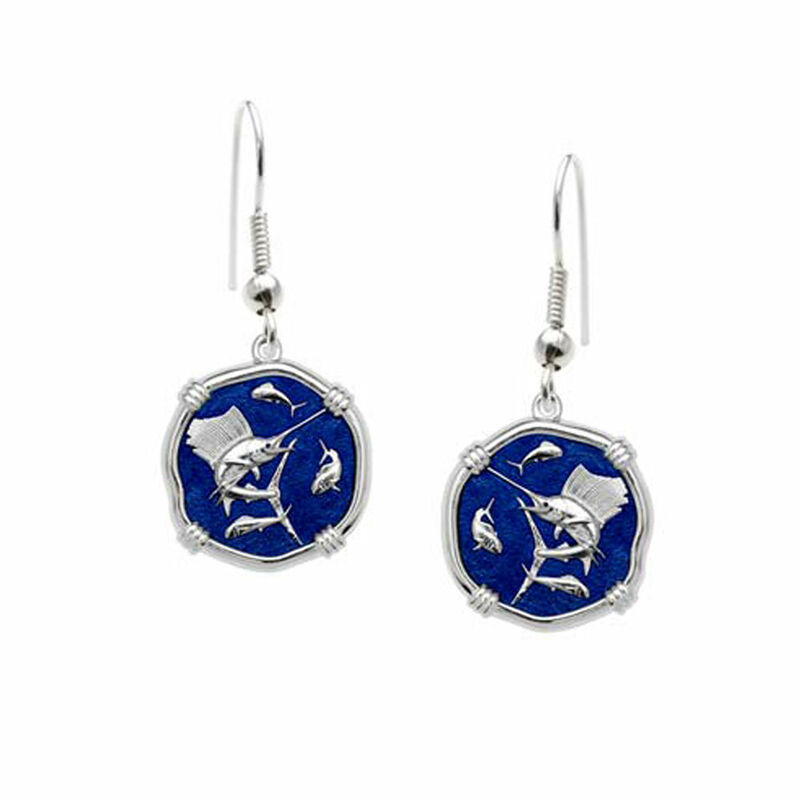 Porpoises Dangle Earrings Crafted in Sterling Silver in Our Relic Finish. Guy Harvey signature on reverse side of each medallions. 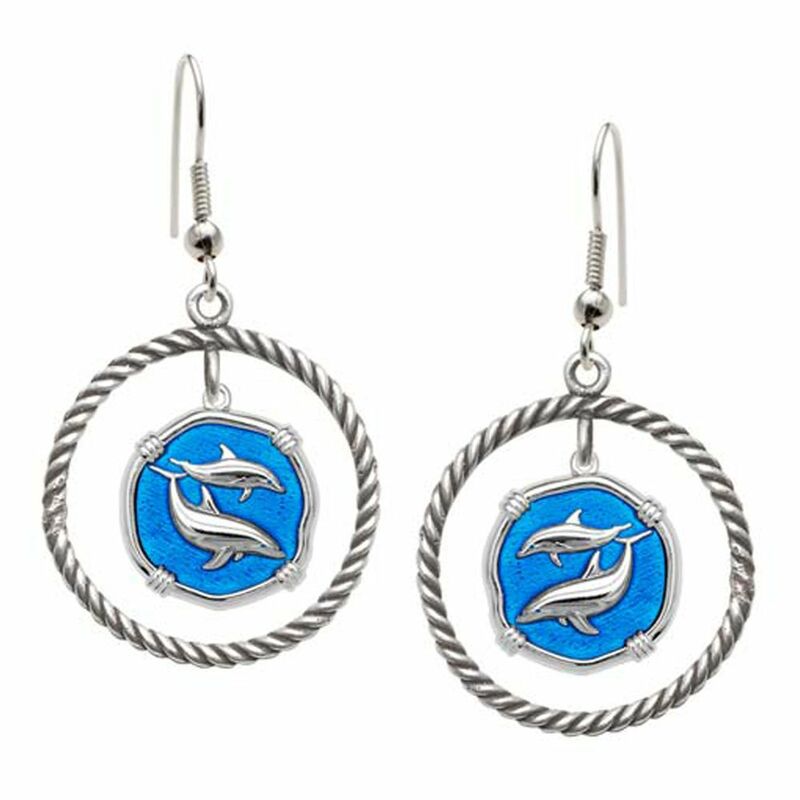 Porpoises Dangle Earrings Crafted in Sterling Silver in Our Relic Finish. 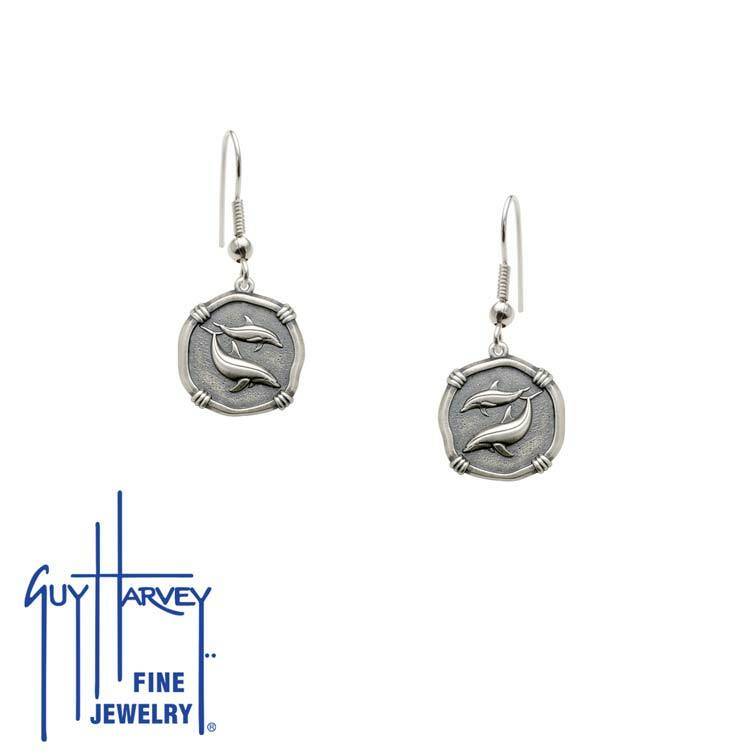 Guy Harvey signature on reverse side of each medallions. Surgical Steel earring wires for complete safety and comfort.